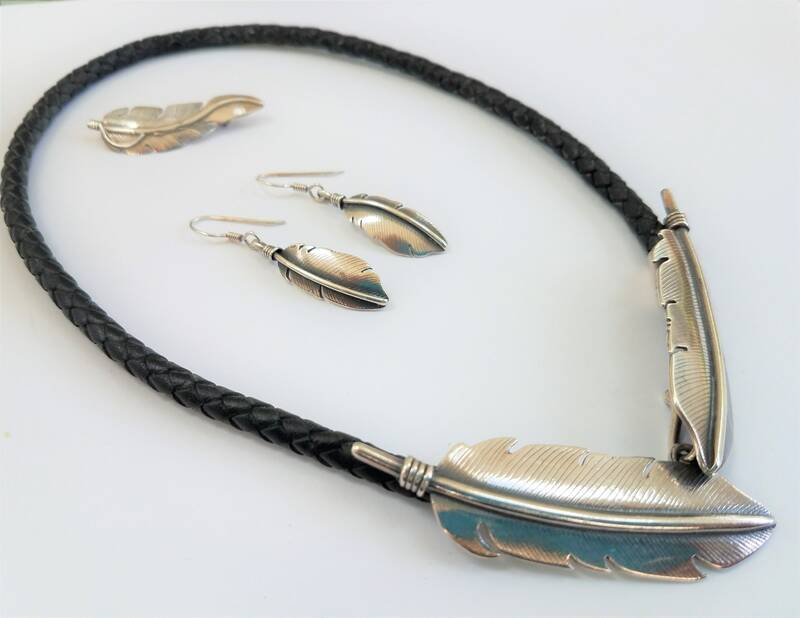 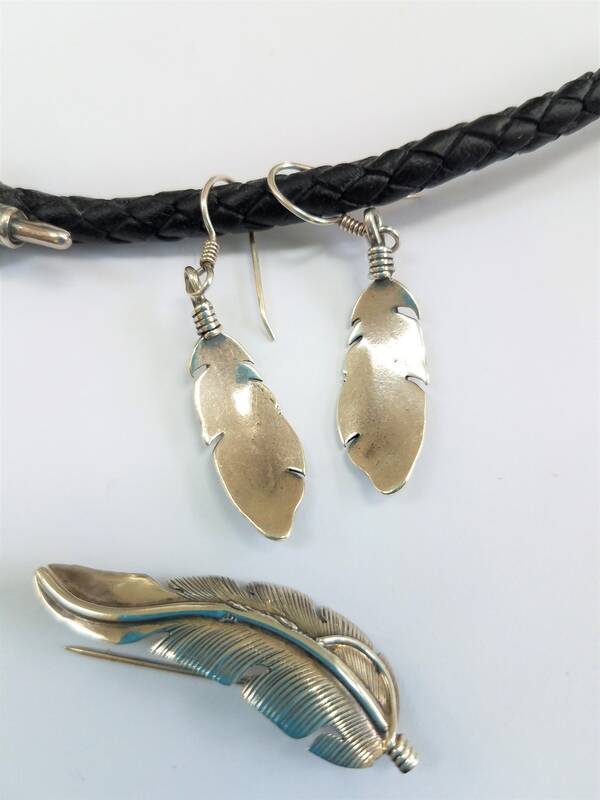 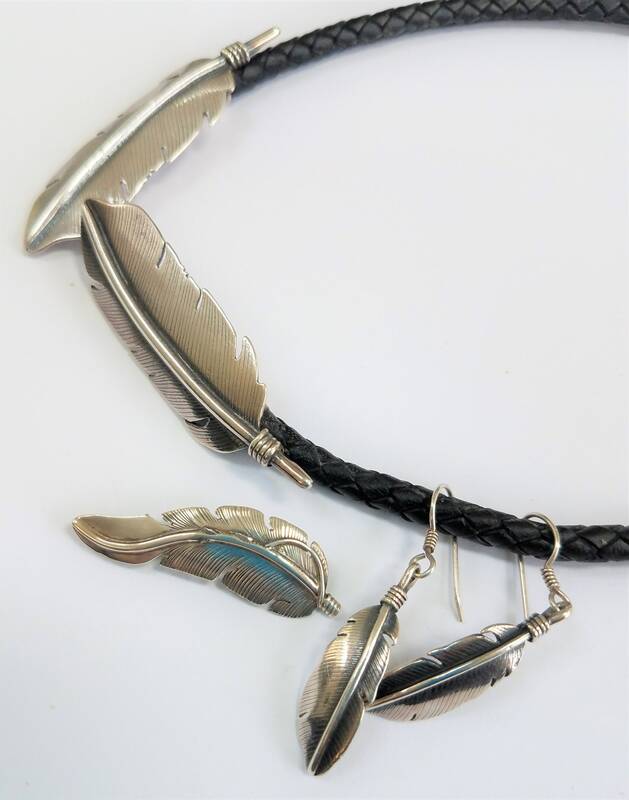 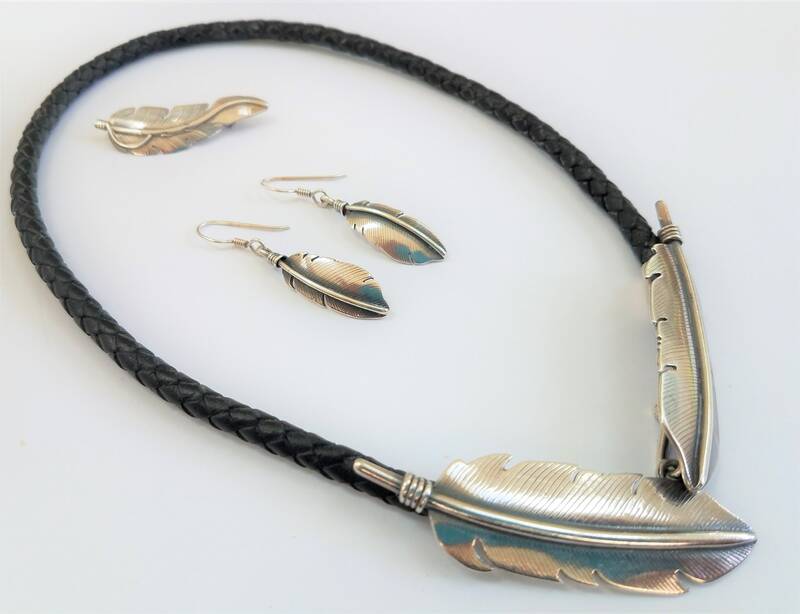 Gorgeous "suite" of Sterling Silver feathers. 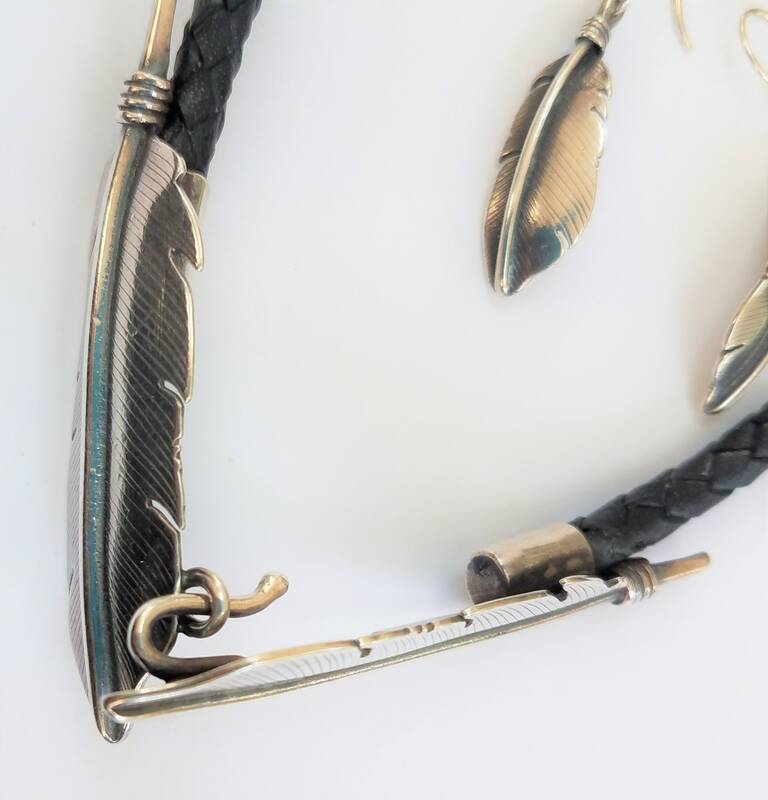 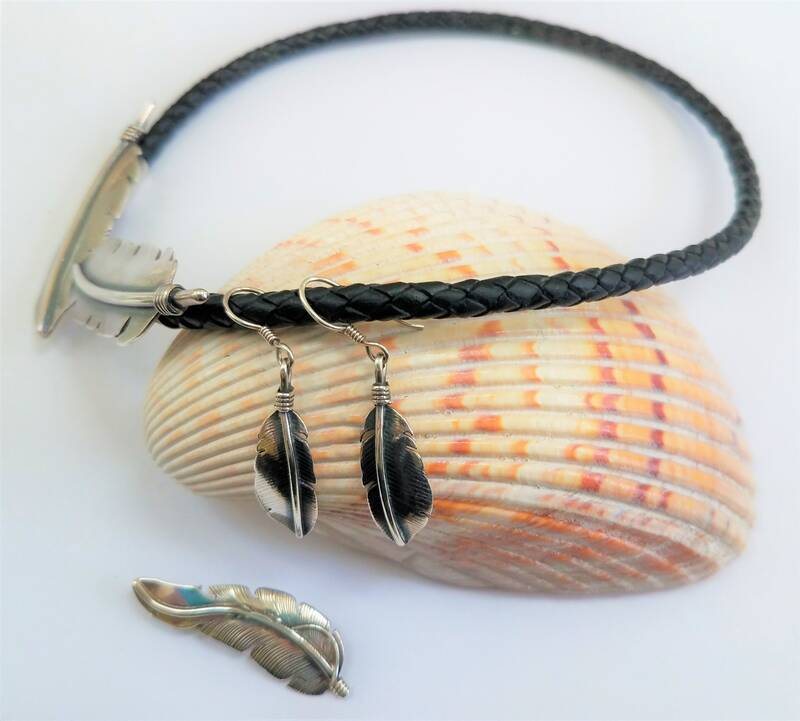 A breathtaking choker of luxurious black leather 1/4" braid and 2 heavy polished feathers, Hook and eye closure. 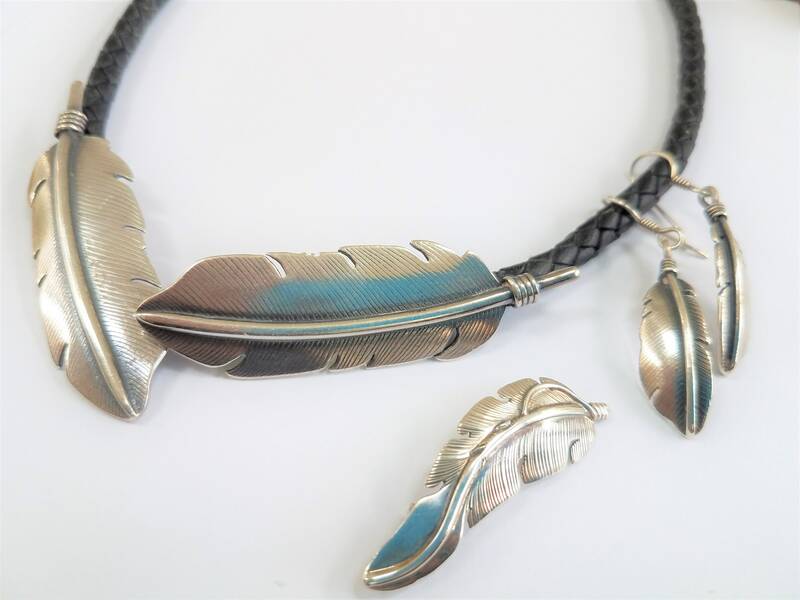 The brooch is a graceful sterling matching feather with SS pin closure. 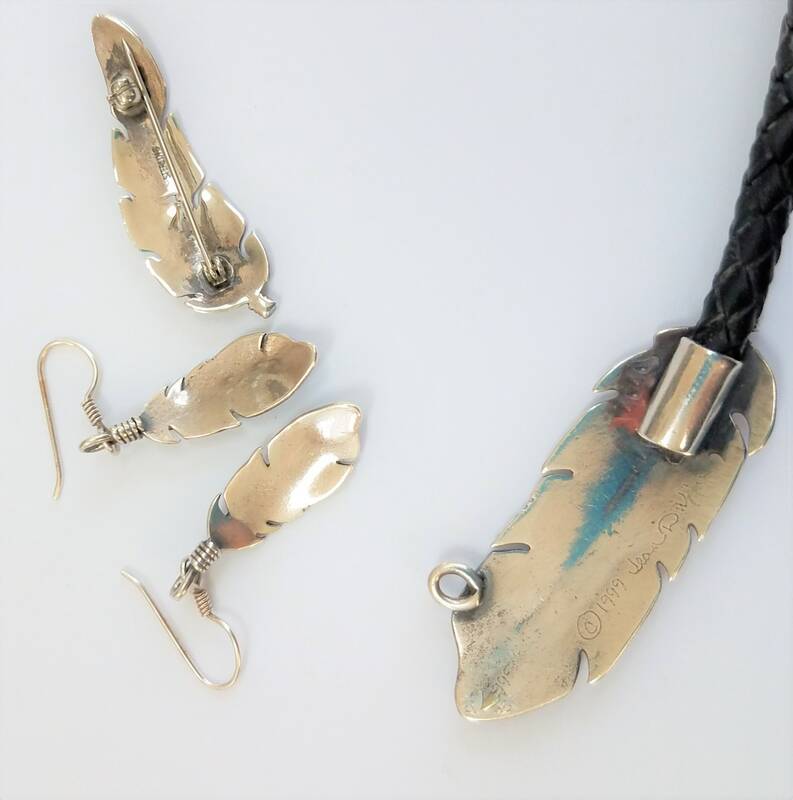 Earrings are 1.5" long pierced matching Sterling silver with sturdy Sterling ear hooks. 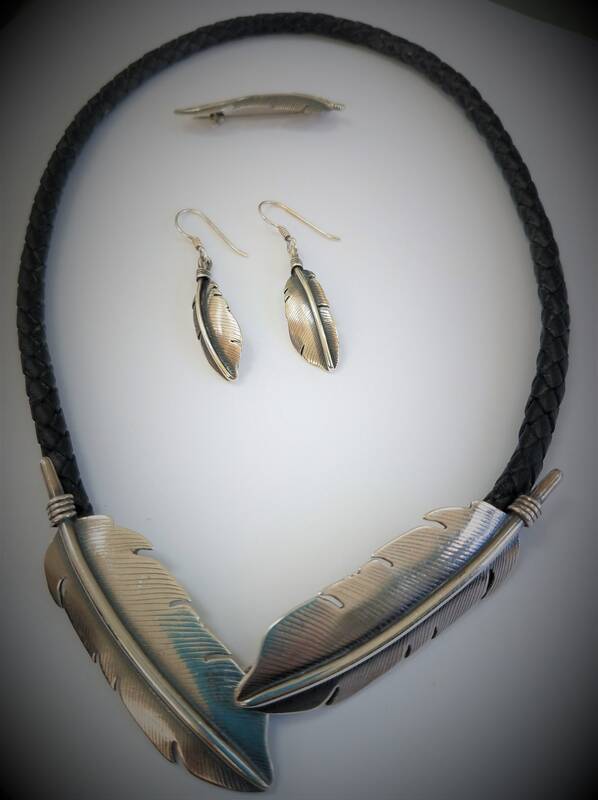 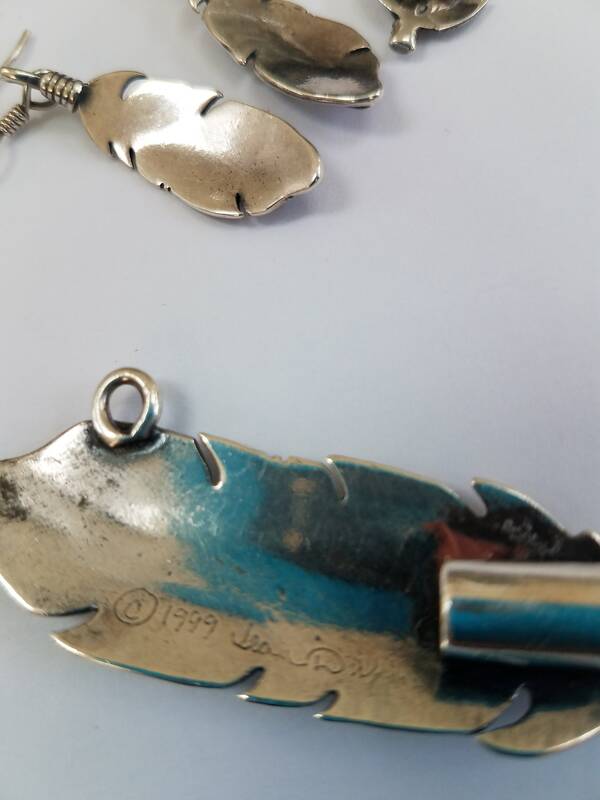 Must be sold as a set.